Can you dig it? This science experiment isn't for kids who like to keep their hands clean. The sandbox will be your lab as you work to set up an epic water race. Water flow design, playing in the sand and a race? This obviously isn't your average science fair project. Will water flow faster in a shallow sand trench or a deep sand trench? Use paper and a pencil to draw trench designs before you move to the sandbox. Think about what you know about sand and water and motion. You want to design a trench that will move water the fastest from one side of the sand box to the other. How do you think you can do this? Do you think a shallow trench or a deep trench will move water the fastest? Write down your guess, sometimes called a hypothesis, in your notebook. 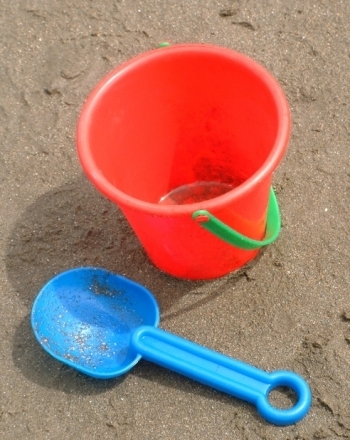 Head over to your sandbox (if you can take a trip to the beach, that would work even better!) Just make sure that wherever your are, the sand is at least a foot deep. Start digging. 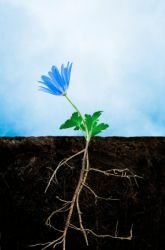 Remember that you want to create one shallow trench and one very deep trench. Dig your trenches parallel, or side-by-side. Since you will be having a "water race", you want each trench to be the same length. Have you and your helper fill the two buckets with an equal amount of water. Stand at the beginning of one trench and have your friend stand at the beginning of the second trench. At the same time, you and your helper should begin pouring water into your separate trenches. Which trench moves the water the fastest? Water moved faster in the shallow trench than in the deep trench. The sand played a big part in this water race. Dry sand soaks up water -- the more water is soaked up, the more water is not moving down the trench. In a deep trench, some of the water is getting soaked up by the sand while the rest is busy filling up the tall sides of the trench. This takes time. That's why the deep trench was slower. The shallow trench, however, was also made of sand, but its shorter sides sped up its overall time. The water in that trench didn't have to fill up a long ways like the water in the deep trench. Trenches can be made with lots of different materials, not just sand! Now that you know a little about water flow design, continue your experiments with trenches made of dirt or wood. Do you think those trenches would be faster or slower than your trenches made of sand? Never stop guessing and testing! Scientists spend every day coming up with new ways to test their guesses -- why not do the same? Race to the finish with this fun printable project! Your little speedster can color and cut out his own race car set. Go for the gold in this math facts practice sheet! Your little skier will join these contenders to race to the finish. Color the #50 Race Car! No adrenaline needed to be part of this race, but crayons and imagination desired. This race car coloring page let's your child color for speed. Want to hold a pig race in your home? 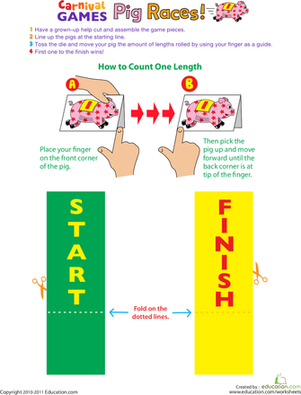 Help your first grader assemble and play this fun carnival game. This worksheet helps to sharpen your kid's pattern recognition skills. She'll read the words, then predict which word comes next based on the pattern. Play the Turkey Drawing Race! Show off your drawing chops in the Turkey Drawing Race, a printable Thanksgiving board game. This worksheet challenges first graders to finish the sentences and write their own story about where the dog is going. Use this glossary with the EL Support Lesson: Graph My Design. Does your little scientist know the water cycle? Challenge her with this cut and paste activity where she'll label each part of this water cycle! This off-road rig needs some color to make its day, and maybe win the race!